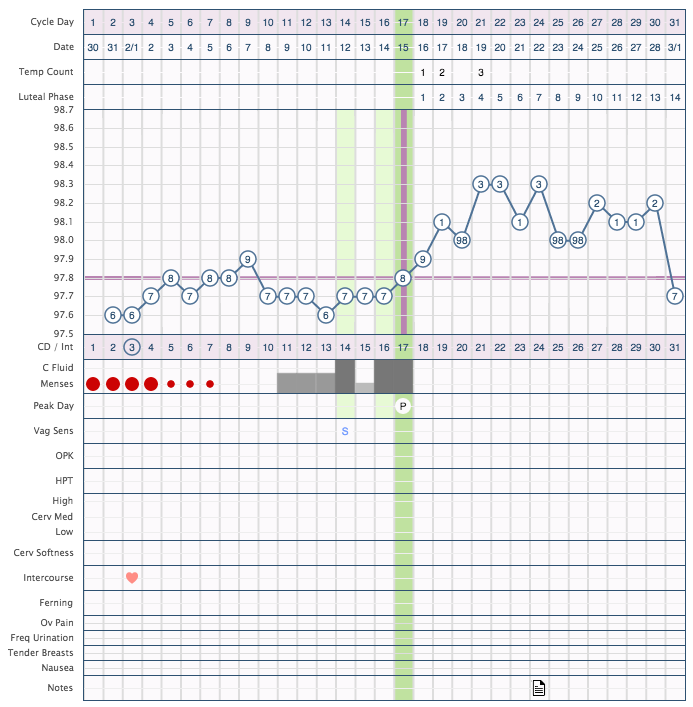 Have you ever wondered what it looks like when all, or most, fertility signs line up to point to a clear ovulation date? If so, take a look at our gallery of Typical Cycles. 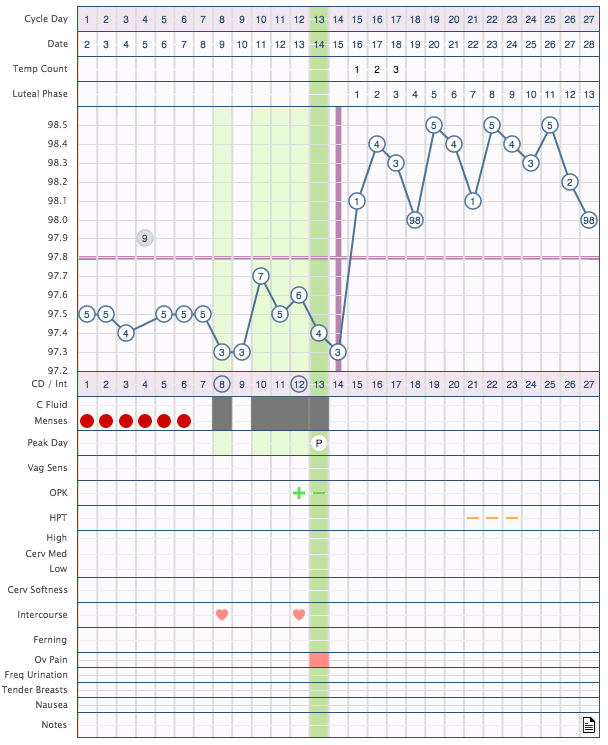 This gallery includes charts that show the expected changes in cervical fluid and other fertility signs as ovulation approaches, along with a clear and sustained temperature shift, all of which points to a clear ovulation date.